I play 6 string electric violin with legendary rockers 'Never the Bride' around the UK and Europe. After studying classical music throughout my childhood and at university in Australia I wanted to experiment with different types of music on the violin. I moved to Indonesia where I started a world music fusion band (Saharadja). Together we toured the world playing various festivals, concerts, TV shows etc. I then started to experiment with guitar effects pedals and realised that I could actually imitate all of my favourite guitarists' solos on my violin! I had always had a passion for rock and metal music so I moved to London in search of good music. I started teaching at the age of 15. My viola teacher would pass on to me any students he couldn't fit into his schedule. I realised I had a true passion for teaching so I then went on to work at 2 different music schools in Perth at the same time, teaching violin, viola and piano. When I moved to Indonesia, I taught the violin for 10 years to a whole variety of nationalities from age 3 up to age 46! I then taught at the Mick Jagger Centre for several years where I ran both private lessons as well as group lessons. Now I am based in Woolpit and teach in our lovely cosy music room! My first violin teacher was a great inspiration to me and he made me fall in love with the violin. I really enjoyed playing the violin until I changed schools and suddenly found myself learning from a really boring and strict teacher! My interest soon faded and I begged my parents to let me quit the violin. Luckily they didn't let me give up and I eventually started lessons with another fun and inspiring teacher who made learning the violin fun. This difference in teachers made me realise that if the teacher is having fun and is passionate about what they do, then the student will follow. 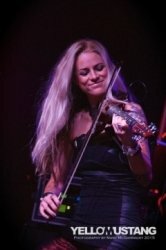 I teach all styles of violin, viola and piano, from classical to folk to rock! For my younger students, I involve a lot of games and we have a lot of fun. I also love teaching adults - whether you learnt as a child and would like to pick the violin back up again, or you are a complete beginner, I am more than happy to help. I have taken many students through ABRSM exams with great results so if that is the path you choose to take then I would love to guide you through. Or if you just want to try out different styles on the violin then we can do that too! Sally JoFrom Juliet (5/5): My daughter is 9 and had decided to quit the violin as was not enjoying her lessons at school. We read what Sally Jo wrote about making lessons fun and decided to give it a go. Suddenly my daughter is loving the violin again and really proud of the progress she is making. Sally Jo listened to and remembered the style of music my daughter wanted to play, but also has her happily practising scales and trying to improve things like posture and bowing techniques. My daughter looks forward to her lessons now and said she wishes she could have a lesson with Sally Jo on Christmas Day. Sally JoFrom Joseph (5/5): Sally Jo is such an excellent teacher! Her approach and attitude towards teaching has made my daughter to fall in love with playing Violin, and we intend to stick with her for such a looooong time.